KAMPALA, Uganda/NEW YORK, New York— January 6, 2016 — The Africa-America Institute is accepting applications for the new East African Development Bank (EADB) scholarship program for experienced teachers and lecturers to earn a post-graduate degree in science, technology, engineering and mathematics (STEM) at Rutgers University and New Jersey Institute of Technology in the United States. The EADB Math, Science, Technology and Engineering University Scholarship Program is aimed at boosting the number of qualified academics in the STEM fields and building workforce skills in the science, engineering and technology sectors in the East African countries of Rwanda, Kenya, Tanzania, and Uganda. The fully-funded EADB graduate level scholarships will provide full tuition, room and living expenses within a stipulated budget. The scholarship application deadline isJanuary 25, 2016. AAI is administering the scholarship program in partnership with the EADB. Scholarships will be available to qualified teachers and lecturers of tertiary institutions, secondary schools, and polytechnics with at least three years of full-time teaching experience in science, technology, engineering and mathematics. Scholarship recipients must be under 40 years of age and a citizen of the EADB member states of Rwanda, Kenya, Tanzania, and Uganda. Scholars must also commit to returning to their home country to teach in a public educational institution. “After receiving their graduate degree, scholars will return home to educate a new generation of engineers, scientists and tech professionals,” said Yeda, noting that only 1 percent of young people in Africa are expected to graduate from university in a science or engineering field. “We are thrilled to partner with the EADB on this scholarship program, which will give teachers and lecturers in the STEM field from East Africa an opportunity to gain world-class knowledge and expertise in their respective field,” said Amini Kajunju, AAI President & CEO. Given the remarkable economic growth and progress in East Africa and across the continent, the scholarship program was created to fill a serious shortage of engineers, scientists, and technology professionals. Today, there is one scientist or engineer per 10,000 people in Africa, the World Bank cited, compared to between 20 and 50 in industrialized countries. To learn more about the scholarship program, please visit http://www.aaionline.org/programs/eadb or email EADB@aaionline.org. 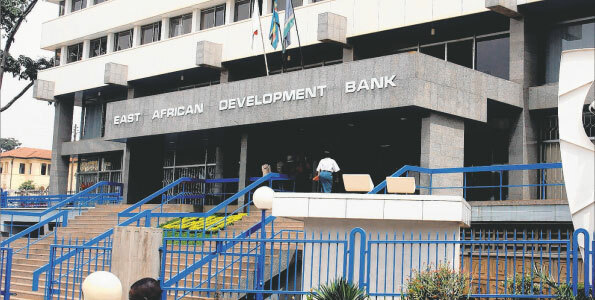 ABOUT THE EAST AFRICAN DEVELOPMENT BANK: The East African Development Bank was established to promote sustainable socio-economic development in East Africa by providing development finance, support and advisory services. For more information, visit www.eadb.org. ABOUT THE AFRICA-AMERICA INSTITUTE (AAI): Founded in 1953, AAI is a premier U.S.-based international education and policy organization dedicated to strengthening the human capacity of Africans and promoting the continent’s development through higher education and skills training, convening activities, program development and management. For more information, visit www.aaionline.org. In case you don’t know, a calling App called Ringoversea is now so cheap to call Uganda and other African Countries. Hope this helps?.